Opinion The world may not be doomed after all, according to top American dirt scientists. Soil-dwelling microbes, expected in climate models to go into CO2-spewing "overdrive" as the world warms, refused to do so in experiments. 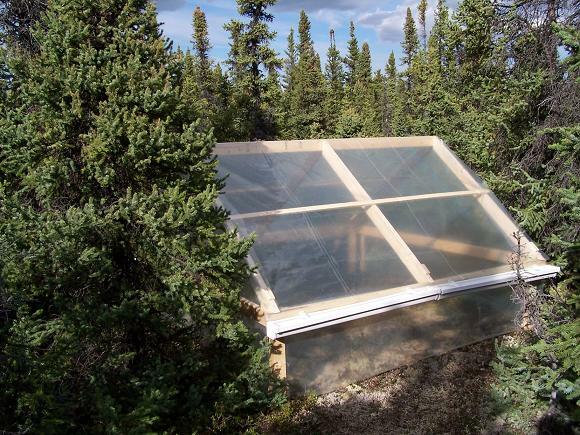 This is how you create a greenhouse effect. Conventional scientific wisdom holds that even a few degrees of human-caused climate warming will shift fungi and bacteria that consume soil-based carbon into overdrive, and that their growth will accelerate the release of carbon dioxide into the atmosphere. This conventional wisdom now appears to be wrong, as research conducted by University of California ecologist Steve Allison have shown that in fact the carbon-eating microbes' planet-busting activities are reduced, not increased, by warmth. Allison developed a new climate model based on experimental results showing what happened in soils which had been warmed up artificially in greenhouses over a period of several years. There is an initial increase in microbial emissions, which has been the basis for existing models, but after a while the microbes "overheat" and their numbers - and CO2 output - plunge. "When we developed a model based on the actual biology of soil microbes, we found that soil carbon may not be lost to the atmosphere as the climate warms," Allison says. "Conventional ecosystem models that didn't include enzymes did not make the same predictions." The flow of carbon in and out of the Earth's soils is thought to be one of the biggest factors in the amount of greenhouse effect experienced by the planet, so the new results could have a major effect on climate forecasts and related government policies. Allison cautions that more research is needed, but seems confident that the microbe menace is not as severe as had been thought. "We need to develop more models to include microbe diversity," he says. "But the general principle that's important in our model is the decline of carbon dioxide production after an initial increase."